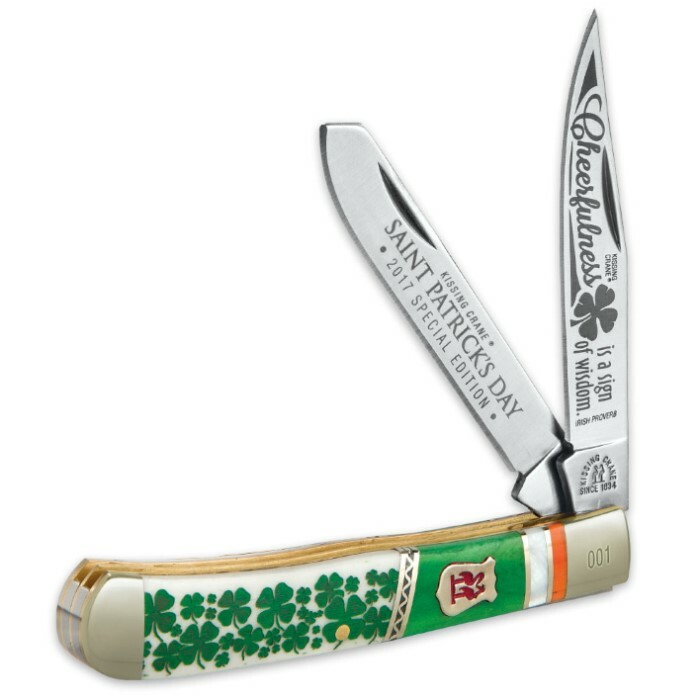 Kissing Crane 2017 St. Patrick’s Day Trapper Pocket Knife | BUDK.com - Knives & Swords At The Lowest Prices! 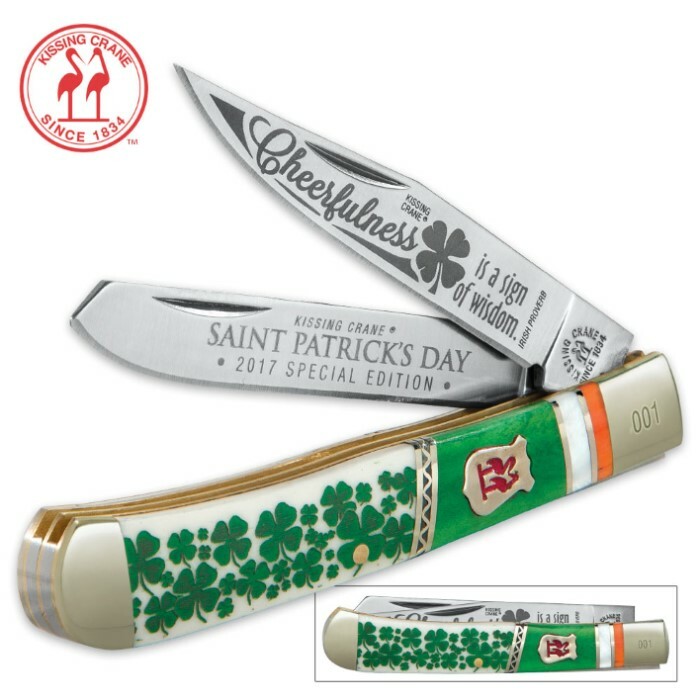 This 2017 limited edition St. Patrick’s Day Trapper is both a spectacular showpiece and a fully-functional, razor-sharp pocket knife and that’s no blarney! 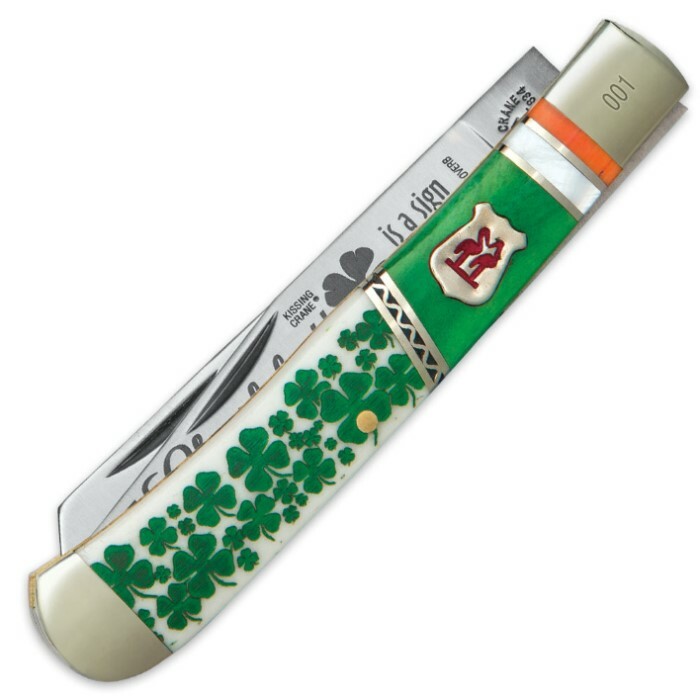 It features rust-resistant 440 stainless steel blades with commemorative Saint Patrick’s Day etchings and a handsome genuine bone and pearl handle. Nickel silver bolsters and a brass liner accent the classic pocket knife. The traditional Kissing Crane cast shield completes this exquisite design and each one is laser serialized on the bolster.